Finance minister Piyush Goyal sprung a surprise in the interim budget that he presented in Parliament on 1st February 2019 by announcing that no tax will be levied on income up to Rs. 5 lakhs. Budget watchers see the move as a thinly-veiled attempt by the ruling party to appease the middle class, who are said to be a core-voter base of the NDA government. Let’s try and understand the quantum of the relief announced and how it translates into benefits for the middle class. Just to be clear, the existing tax slabs haven’t been done away with. Until now, individuals earning between Rs. 2.5 lakhs and Rs. 5 lakhs pay income tax at the rate of 5% (no tax up to Rs. 3.5 lakhs with rebate). Individuals earning income between Rs. 5 lakhs to Rs. 10 lakhs or more than Rs. 10 lakhs pay tax at the rate of 20% and 30%, respectively (progressively). Signalling a major shift from the past, a standard deduction of Rs. 40,000 was reintroduced in Budget 2018, after the UPA removed in the Finance Act 2005. Standard deduction is a fixed amount deductible from an individual’s gross salary, before calculating the income tax. 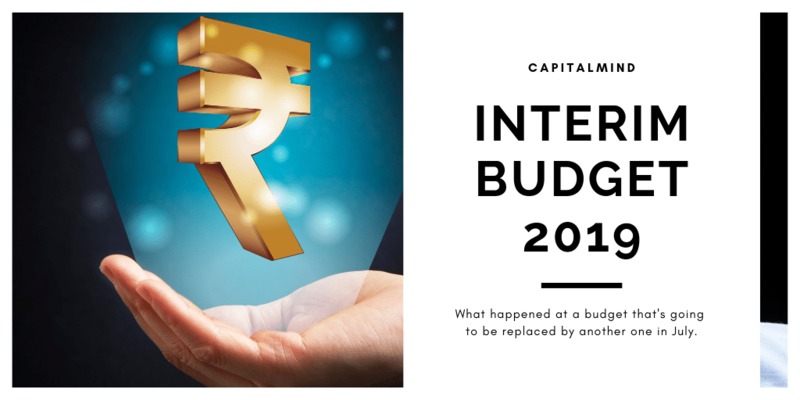 What has changed in the new budget? Now the 5% tax slab (for individuals earning up to Rs. 5 lakhs), has been effectively done away with through a rebate. The other tax slabs (20% for income up to Rs. 10 lakhs and 30% above Rs. 10 lakhs) will remain. standard deduction from salary income has also been increased from Rs. 40,000 to Rs. 50,000. This means that if your Net Taxable Income after deductions comes to Rs. 5 lakh or less, you pay no tax. Total taxable income: Rs. 5 lakh. So effectively, an individual earning up to Rs. 7.5 lakhs in salary income won’t have to pay any tax! Of course there’s other deductions like HRA, and health insurance premium and housing loan interest, which can further be used to reduce tax. What if my Net Taxable Income is JUST above Rs. 500,000? Like Say Rs. 501,000? The statement on the site – of section 87A of the income tax act – says simply that you get the rebate under Rs. 5 lakh. That means if you get Rs. 5.01 lakh you don’t get the Rs. 12,500 rebate. So you’ll pay a shade above Rs. 12,500. Now you might say: Goodness – If I got paid Rs. 1000 less I would have no tax, and for Rs. 1,000 more I have to pay Rs. 12,500 in taxes! So what you should do, is to simply donate the Rs. 1000 to the Prime minister’s relief fund or such. They’ll allow that as a deduction and you just saved Rs. 11,500 rupees in taxes. This does mean that there’s no “marginal” benefit for someone making between Rs. 500,001 and Rs. 512,500 as net taxable income, but that’s unlikely to be a very large population. A salaried person with around Rs. 62,500 per month doesn’t pay tax. A retired person can park around Rs. 75 lakh rupees in fixed deposits and have no tax liability! Assuming an interest of 8%, the sum would fetch Rs. 6 lakh in interest, of which they could take on deductions for investment into 80C instruments (say a national savings certificate or such). This essentially takes out a substantial number of people from taxation pain – from the FY2018 data, we see that roughly 1.5 crore taxpayers had taxable income between 3.5 lakh crore and 10 lakh crore – and they are likely to be able to use the taxation changes to their advantage. Finally, tax used to be deducted at source on interest income (interest income on securities not included) up to Rs. 10000 from a banking company, post office savings or co-operative society. That limit has been increased to Rs. 40,000. Interim budgets have a life of about four months into the new financial year. The above sops are small, but are likely to stay. Because a new government can’t increase taxes for the same people the previous government has cut taxes for. But in general the sops apply to people who pay the lowest possible tax, and to remove the need for them to pay tax is a good thing. They still have to file taxes, however. What remains to be seen is, will these tax sops translate into votes for the NDA in the upcoming election?